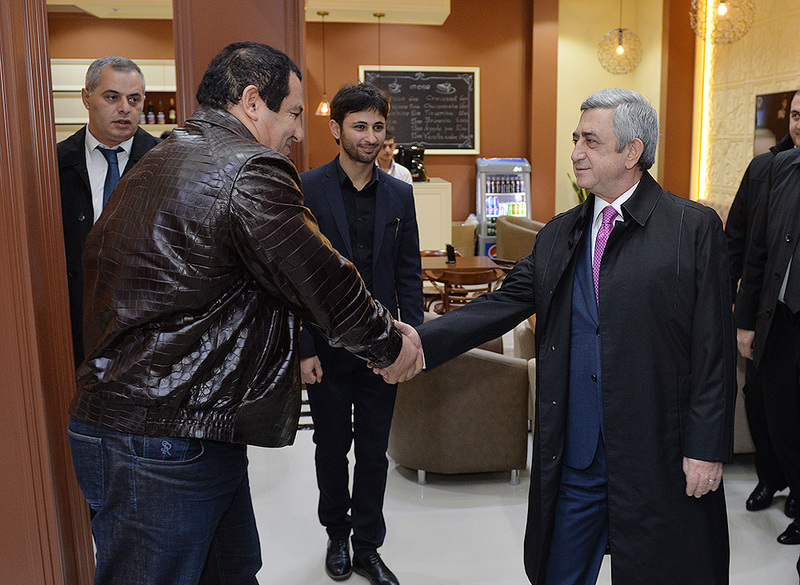 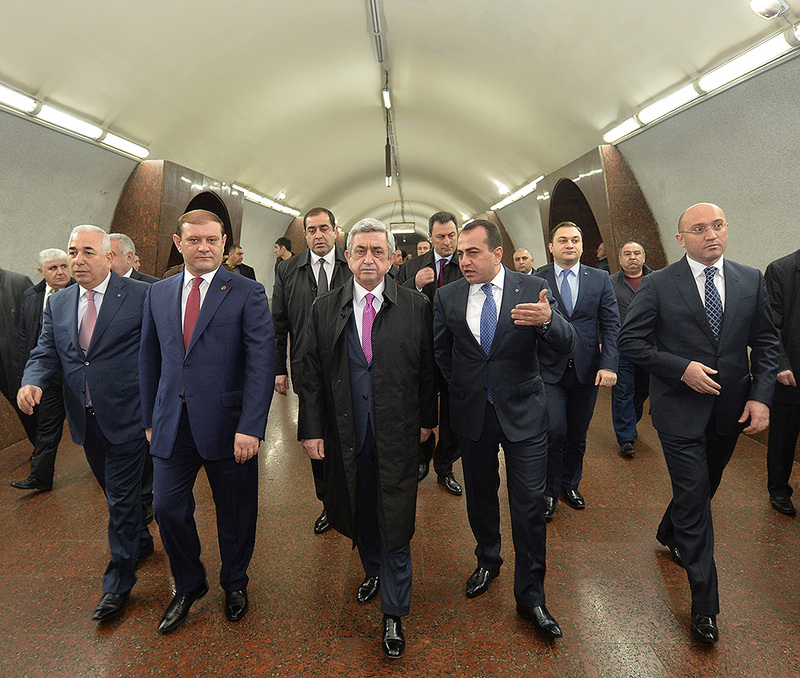 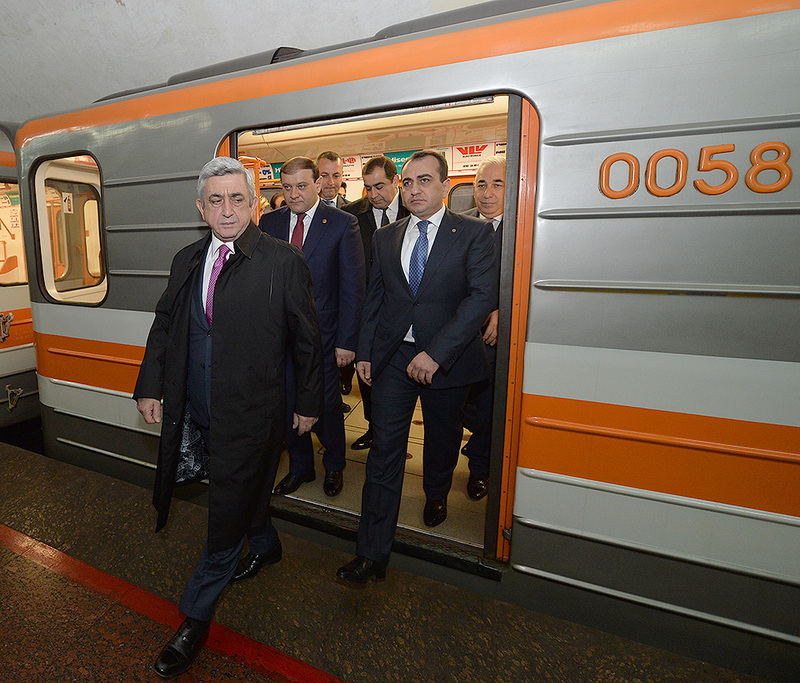 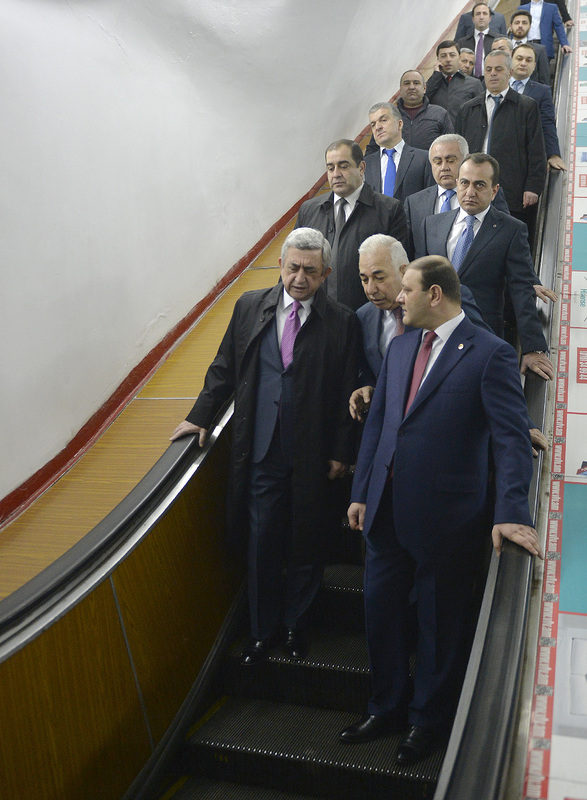 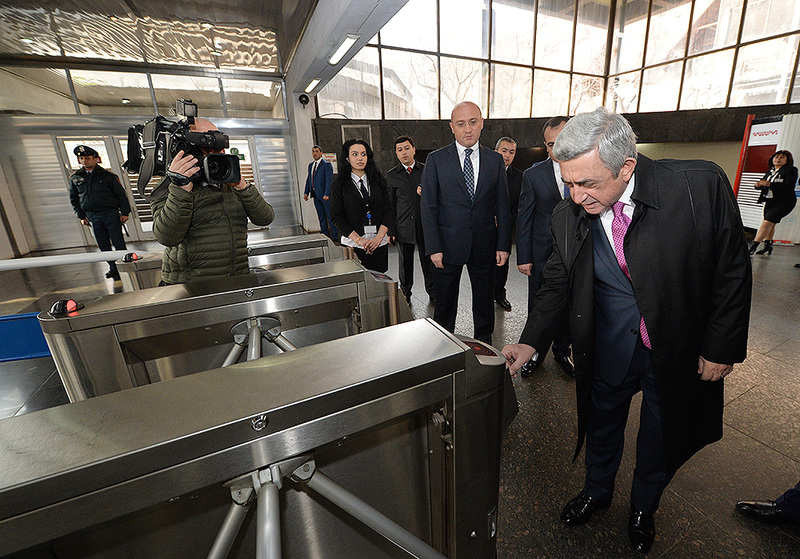 President Serzh Sargsyan visited today the Karen Demirchian Yerevan Metro. 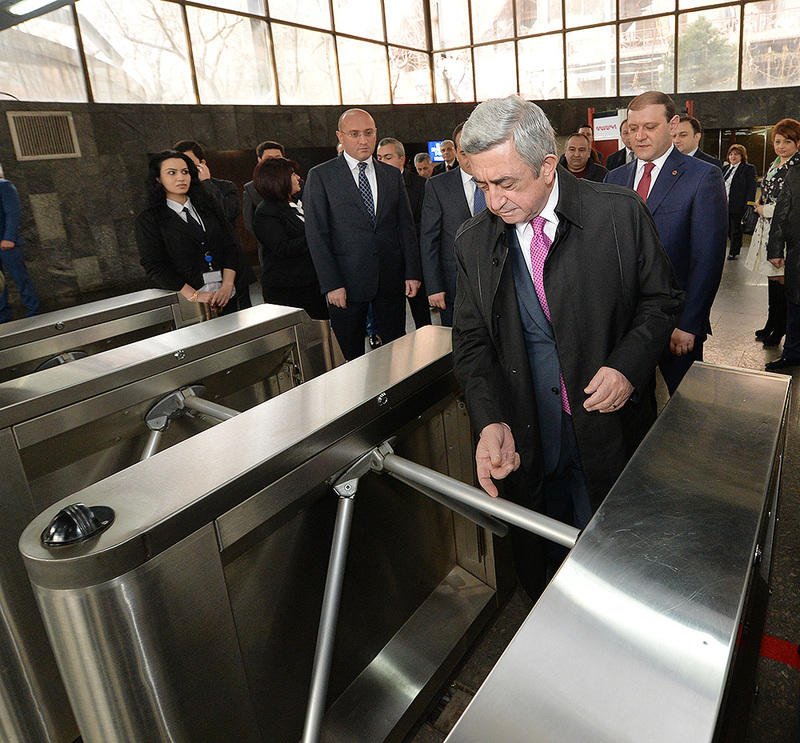 Mayor Taron Markarian and responsible officials of the K. Demirchian Yerevan Metro Ltd. presented to Serzh Sargsyan works conducted for the modernization of the infrastructure of the Yerevan subway, existing problems and future steps which will be based on the results of the works of the previous six years carried out in the framework of the first and second grant programs on the reconstruction of the subway. 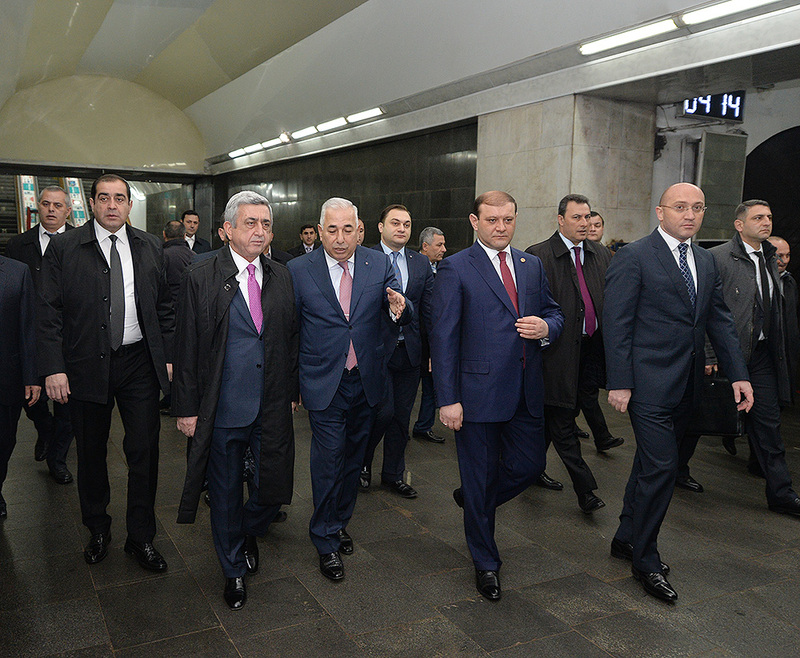 To ensure modernization of the subway system, safe performance and attraction of investments for the resolution of the pressing problems and to bring to a comprehensive conclusion the project on the reconstruction of the subway, the President gave corresponding instructions to continue negotiations with the partner organizations. 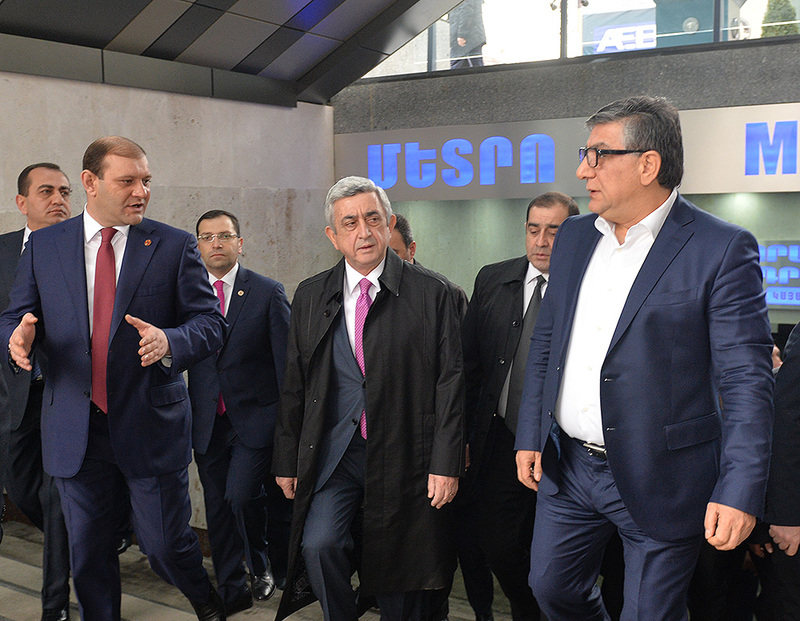 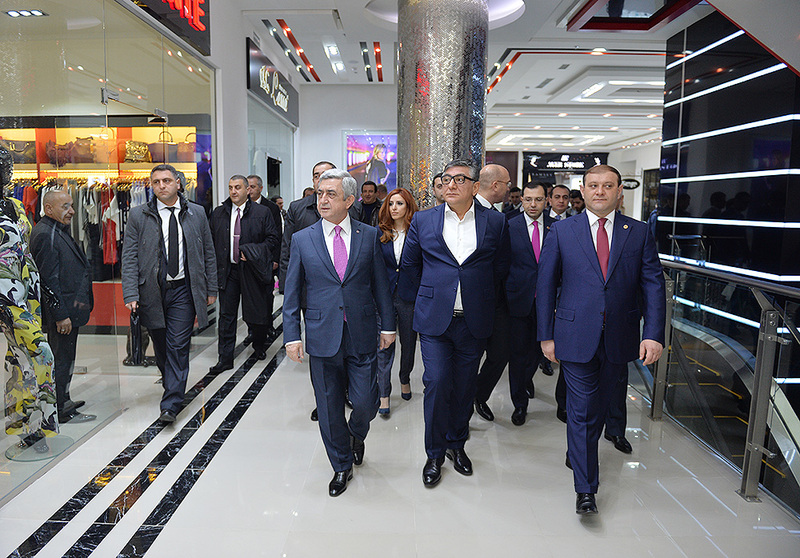 Accompanied by the Mayor of Yerevan and leadership of the Yerevan Metro, the President of Armenia from Marshal Baghramian station traveled to Zoravar Andranik station and through the direct passage from the subway entered the newly constructed Rossia Mall trade center. 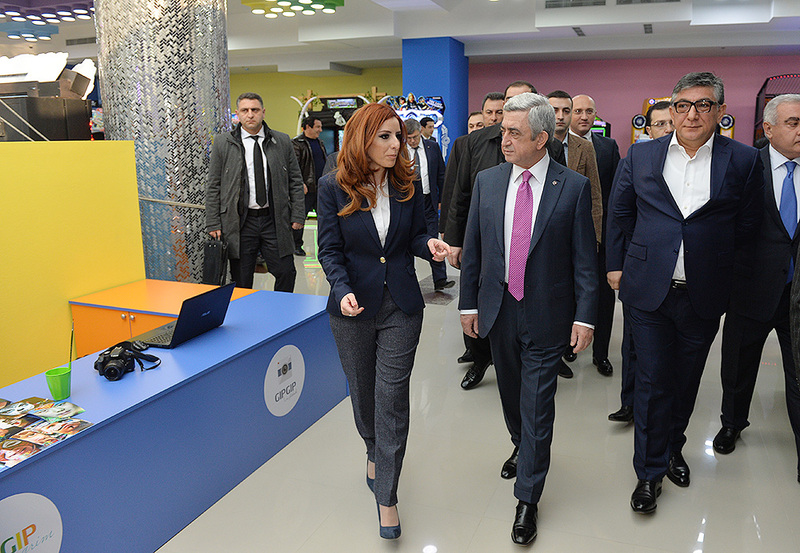 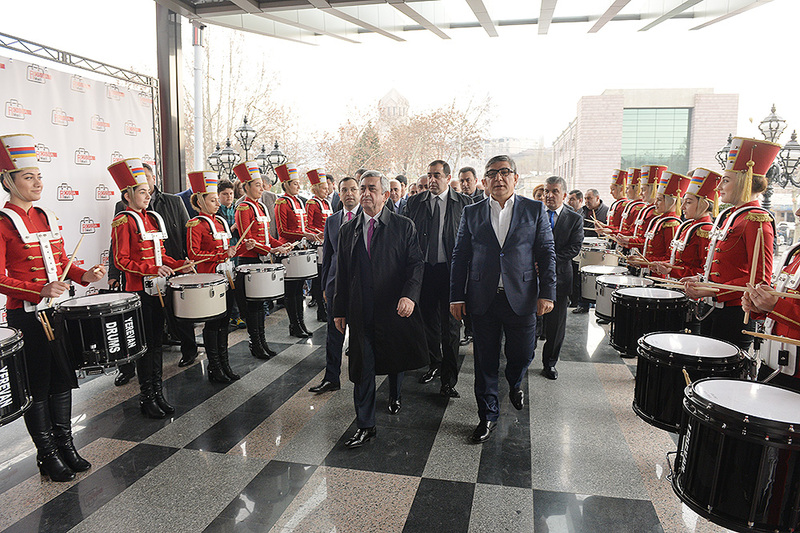 The President of Armenia attended the opening ceremony of the Center. 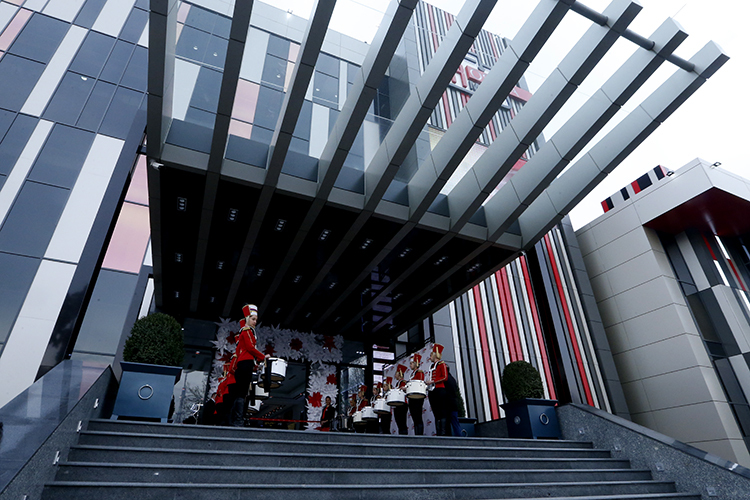 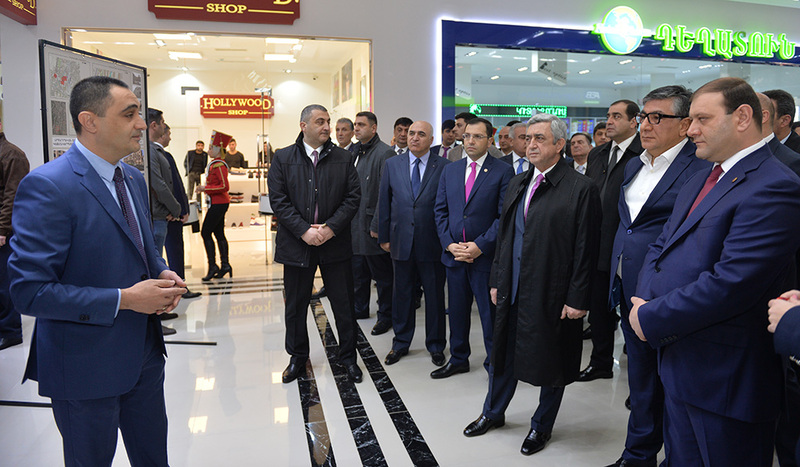 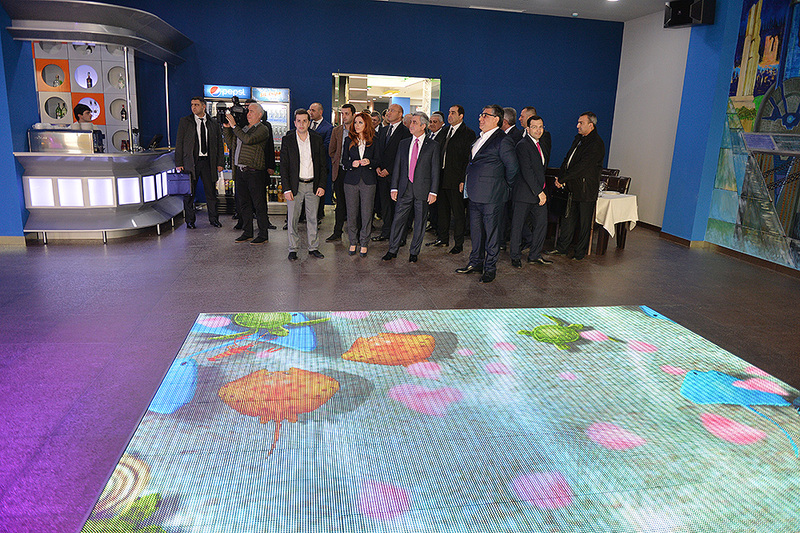 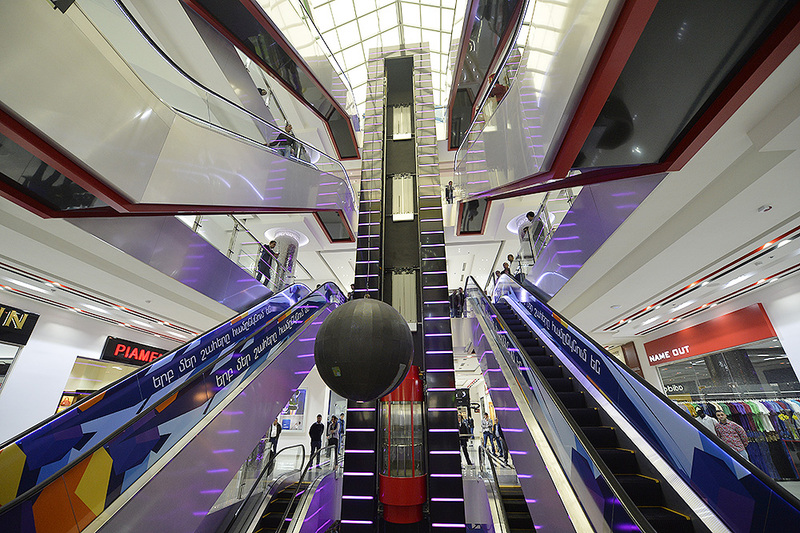 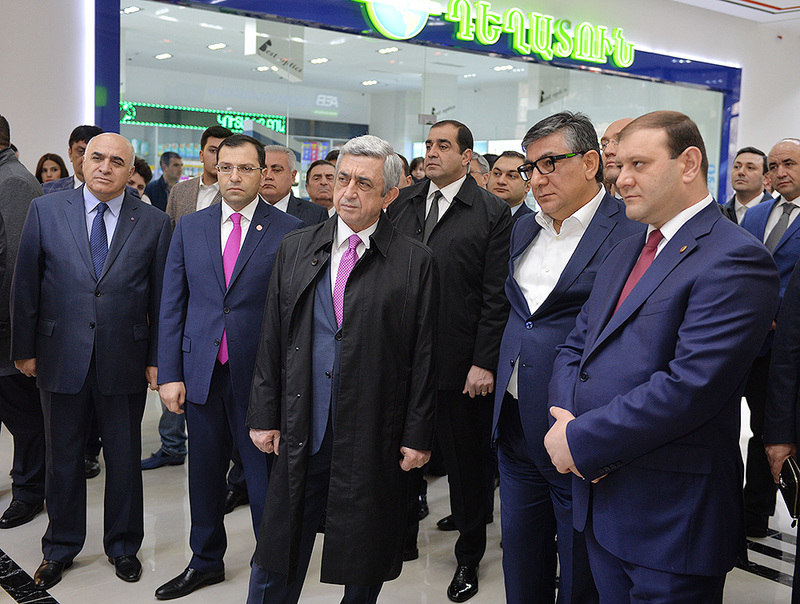 Accompanied by the proprietor of the Rossia Mall, the co-owners of Sill Concern, members of Armenia’s Union of Industrialists and Entrepreneurs, numerous other guests invited to the opening ceremony, the President toured the premise of the Rossia Mall. 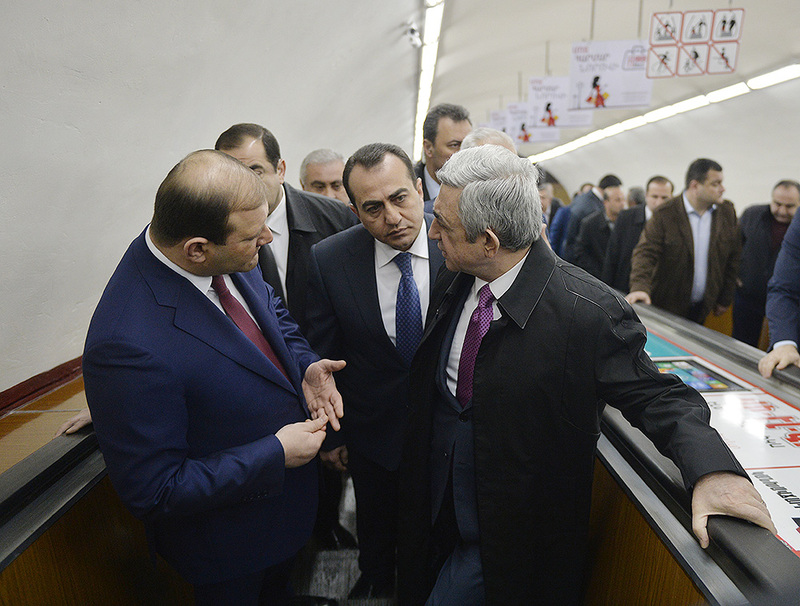 Responsible officials from the Yerevan City Hall presented urban projects of the Sill Concern. 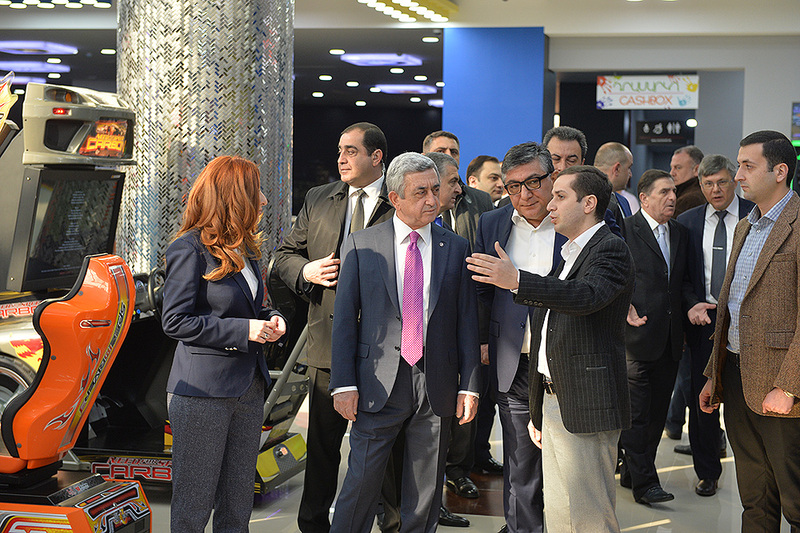 The newly constructed trade center is a part of these programs.